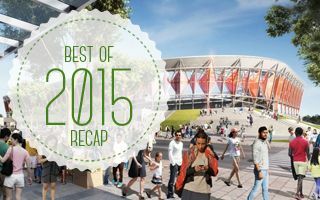 Fans in Turkey, stadium programmes in Slovakia and Romania, soccer stadia in USA, finally progress in London – here are the things we enjoyed in 2015! Some of these events brought us to tears, others are outrageous, while some simply disappointing. 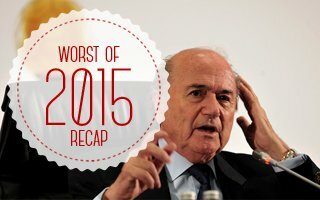 Here are the 10 things we won’t miss in 2016. 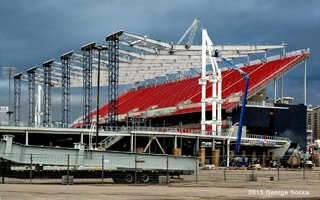 After adding a second tier, now PCL is building a large roof over the fixed seating of BMO Field. Huge prefabricated beams are transported to Toronto all the way from Montreal. 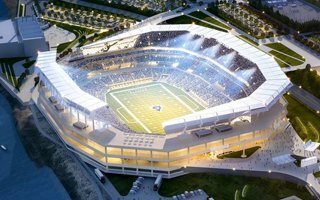 One day before the NFL's deadline to accept stadium proposals from the three home markets vying to keep their teams, St. Louis submitted the most comprehensive and actionable plan of the three. 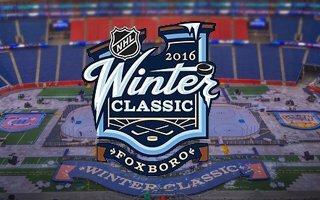 On Friday the 8th NHL Winter Classic will take place, this time at Gillette Stadium. It will be the first one inside The Razor, but second for wider Boston area. 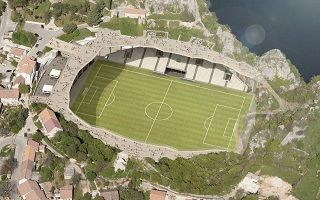 It was to be the world’s first underground stadium. 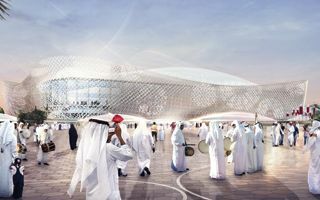 Bud works were halted after Qatar applied for the 2022 World Cup. 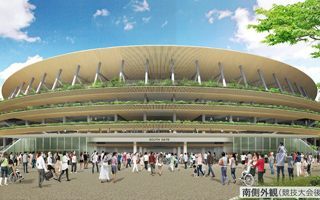 Now the site will hold a new stadium after all, though its shape is unclear. 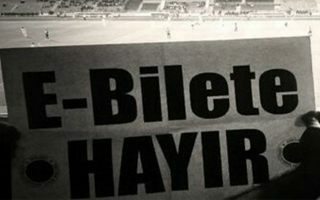 On Sunday supporters of Bursaspor witnessed their last game at the dated Atatürk Stadyumu. Some of them took their seats home as souvenirs before they move to Timsah Arena in January. 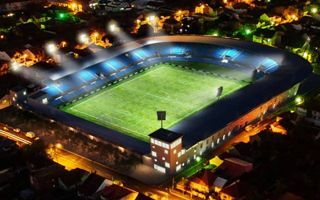 They’ve only been back to “the 92” for one season, but Luton Town are already planning a brand new stadium. 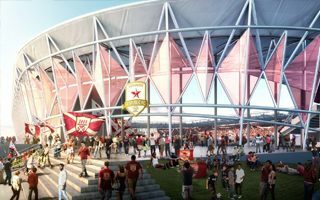 Early renderings were presented just before Christmas and 2016 should be interesting! 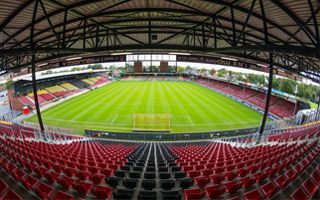 Today it’s one of the smallest stadiums throughout the Jupiler League. But in a couple seasons Den Dreef might be a new model for stadia of its scale. First works are already ongoing. 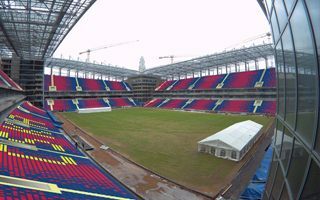 Long awaited stadium for CSKA Moscow is one step closer as the club selected their final red-blue seating mosaic. It was selected out of over 200 entries in public competition. 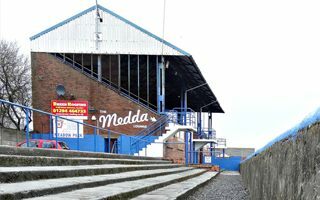 You voted to see more Scottish stadiums, it’s about time we gave them to you. Thanks to Gordon McCreath and Dave Walker here are four latest additions to StadiumDB! 22.12.2015 Romania: Real Madrid in Craiova next year? Mayor of Craiova admitted she would love to see Real Madrid play in her home city during stadium opening. 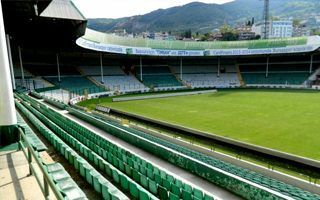 But the 30,000-seater may witness a completely different rival for local team Universitatea. 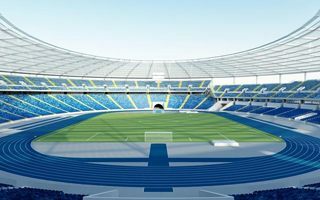 22.12.2015 Scotland: New national stadium between Glasgow and Edinburgh? 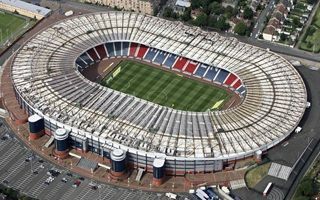 Both Hampden Park and Murrayfield are aging and a groundshare between rugby and football might be the answer. 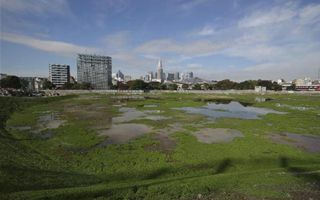 But where should the new national stadium be built? Perhaps between the two major cities? 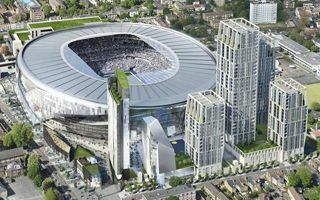 Initial price estimates were very modest compared to how much London’s newest stadium will cost when delivered. With $1.12 billion it will join the most expensive stadia worldwide. 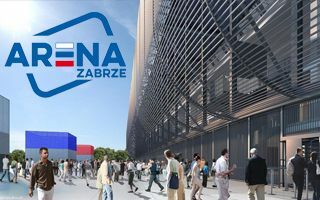 Starting next year, the new stadium in Zabrze will be called Arena Zabrze. This simple changed is considered a prelude to the venue’s first naming rights deal. It’s the last two days to visit the national stadium of Finland and possibly find a souvenir. Just before Christmas the building will be closed for three long years of redevelopment. 19.12.2015 New design: Finally a replacement for the Sardinian monster? Stadio Sant’Elia has been extremely impractical for football, resulting in some elements being dismantled recently. 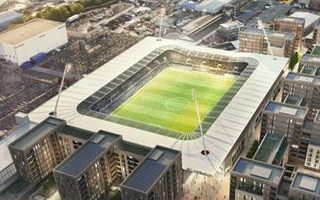 Now a scheme envisages complete reconstruction into a football arena. 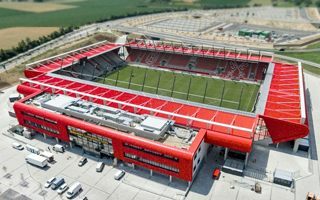 Instead of Bundesliga that locals dreamt of, fans of Jahn Regensburg are watching 4th league games at the new Continental Arena. 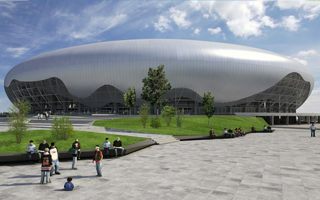 In 2016 the stadium will generate loss of €4 million! 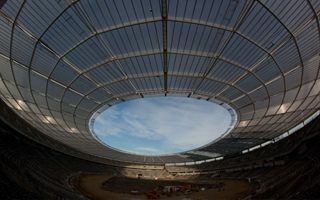 After disastrous burst in 2011, finally the new cable roof of Stadion Śląski is hanging in place. 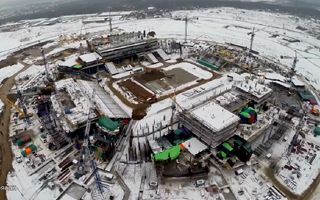 Some works are still left on what’s Europe’s largest roof of its kind. 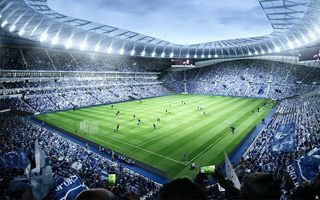 Tottenham Hotspur announced today that the London Borough of Haringey Planning Sub-Committee has resolved to grant the application for the revised plans of new 61,000-seat stadium. 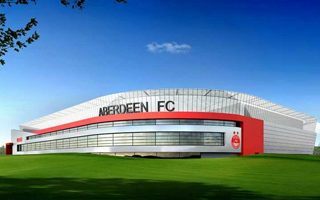 17.12.2015 Scotland: Aberdeen in new stadium by mid-2019? During the recent AGM Aberdeen FC Chairman Stewart Milne gave brief information on the new stadium plan. 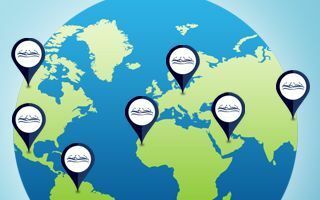 Relocation to Loirston is possible for the 2019/2020 campaign. Three strikes and it’s out. 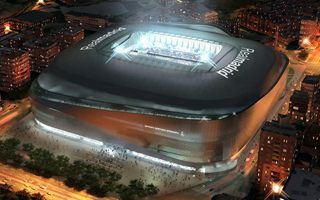 Or so it seems for Real Madrid, whose plan to expand Santiago Bernabéu was again met with denial. The city is open to other proposals “as long as they’re in public interest”. 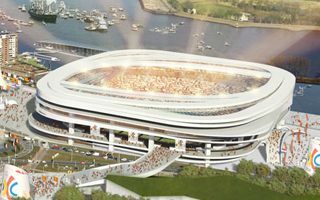 16.12.2015 Rotterdam: Feyenoord to get a new stadium after all? 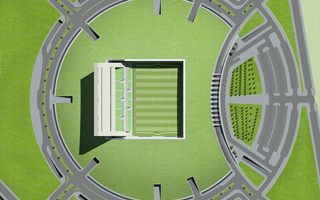 In mid-2016 we should know the future plan for Feyenoord’s stadium. 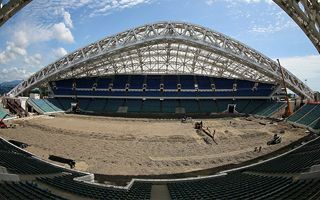 No more revamps of De Kuip, this time (again!) 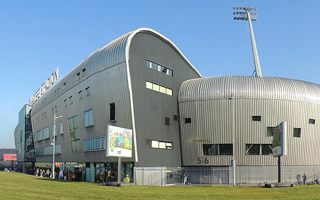 a brand new arena is contemplated in southern Rotterdam. 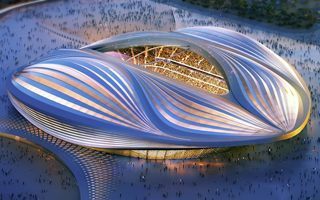 Foundations are laid in place, now time for the spectacular part: Zaha Hadid’s first stadium will start growing in 2016 and be ready by the end of 2018. Getting a modern football stadium for €16 million is impossible. Wait, is it? Not really, as another example of Germans rebuilding their old venues will soon get underway. Officially launched, solar power plant atop Kyocera Stadion is the second largest in the Netherlands, only trailing behind Amsterdam ArenA. Not one, but two new stadiums will be built in Izmir. Both are seriously delayed, but will eventually see completion. 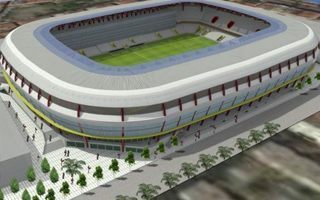 Works at Göztepe home stadium will be launched within days. Preparatory works were launched in October and by now the site is clear, ready for actual construction of the north grandstand. Zulte Waregem should open it by mid-2016. There’s no more time to change design, so one of these will be built for the 2020 Olympics. Both have their advantages with almost identical price. Winning bid will be announced soon. 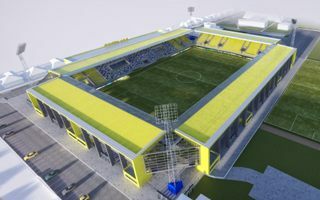 Only two football venues in the country will outgrow the new home of FC DAC. 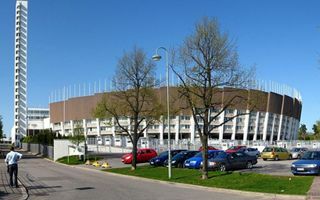 Dunajska Streda will become home to the 12,152-seat arena in 2018. 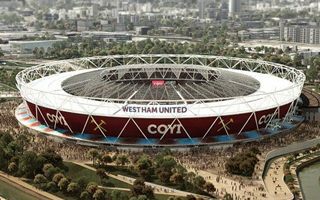 Though they haven’t even played one game there, West Ham United are already hoping to increase the capacity of Olympic Stadium in football mode. It could exceed 60,000. 13.12.2015 Indonesia: New stadium flag record soon? 13.12.2015 Poland: What future awaits the unwanted giant? All group games now set, check out detailed times and locations here. Some tasty fixtures await in June 2016 and we can only guess who will make it to the July knock-out games. 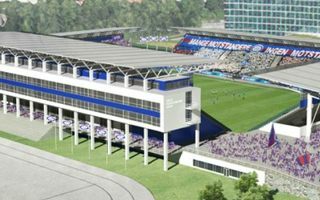 Groundbreaking on the site of Oslo’s planned new stadium is planned for January 4. 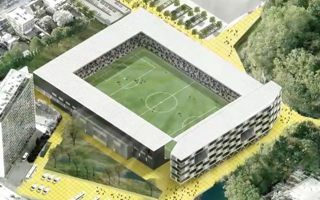 The biggest club-owned stadium of the Norwegian capital should be ready by August, 2017. 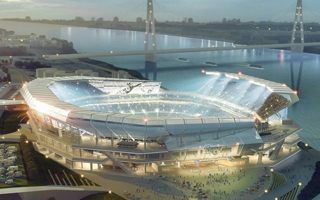 St. Louis aldermanic committee on Thursday advanced the city's financing package for a $1.01 billion Mississippi riverfront stadium. 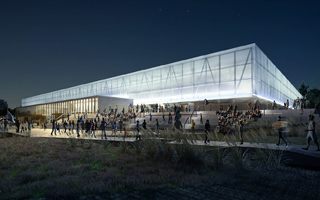 The building is hoped to keep NFL in the city. 12.12.2015 London: Wimbledon are coming home! 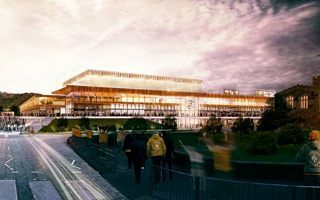 The football club expressed their delight yesterday after being granted planning permission to build a new stadium at Plough Lane. This might just be the single best soccer/football stadium in California, USA’s most populous state. 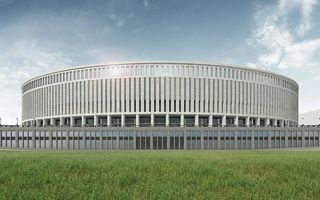 But when would the arena be opened and if in this impressive shape? Time will tell. 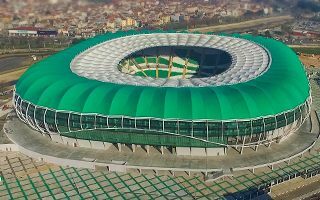 It’s a modern, but little known stadium in Istanbul. But with clips like this one this might change. 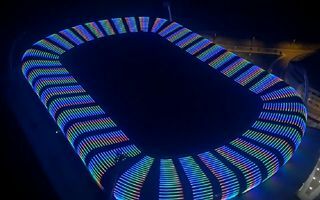 Here’s what the showcase illumination of Fatih Terim Stadyumu can do! 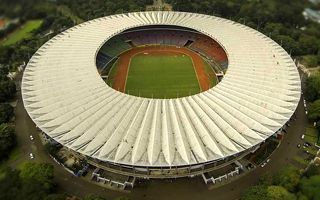 Gelora Bung Karno hosted some of the world’s biggest games. Now it’s about to get a major renovation that might see its capacity pushed down even lower than it’s already been decreased to. 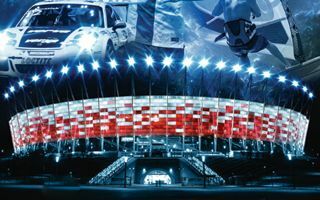 09.12.2015 Stadium & design: Pearl of Dalmatia today and in the future? 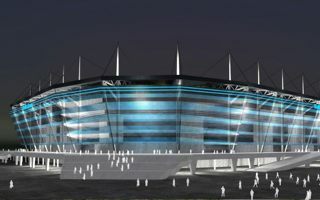 Already in its existing form it’s one of the most stunning stadiums worldwide. No wonder that the vision of its revamp received headlines throughout Croatia today! How much should a player pay for potentially changing the score with unfair actions? Unexpectedly stadium operator in Cologne came up with the sum of €122.92. It’s very much the essence of Holland: the stadia aren’t large themselves, but they’re surrounded by entire sports cities. Altogether these added today have 45 practice fields, largest complex is 20! 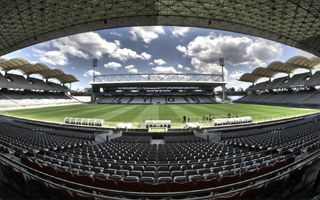 08.12.2015 Lyon: What’s next for Stade de Gerland? 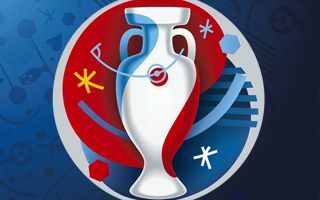 Euro 2016 brings huge changes to Lyon. 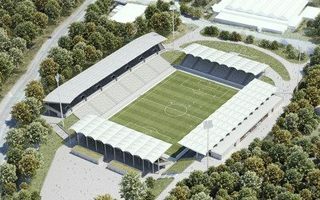 Olympique is moving north-east and good old Gerland will be left abandoned. But for how long? Here’s one legacy option that might work. 08.12.2015 Regina: Will new Mosaic Stadium hold the Grey Cup? The Riders won't play at a game at the new Mosaic Stadium for more than a year, but the idea of hosting a Grey Cup game there is already floating around. 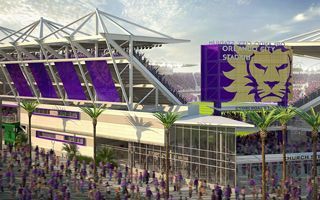 Orlando City's new stadium soon to take shape as massive underground drainage system nears completion, an MLSsoccer.com report suggests. 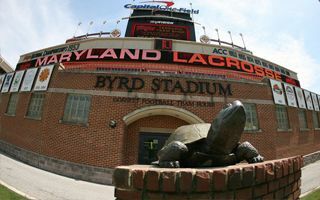 08.12.2015 USA: Byrd Stadium renaming soon? 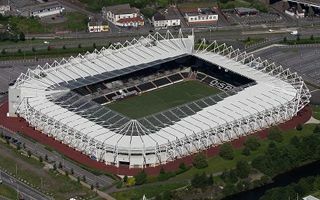 Despite negotiations ongoing for many months, there’s still no resolution of the Liberty Stadium issue. 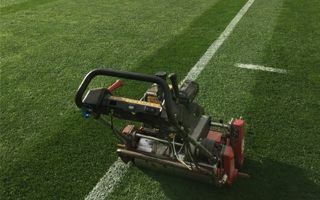 Swansea City want to invest, but only on conditions acceptable for the club. 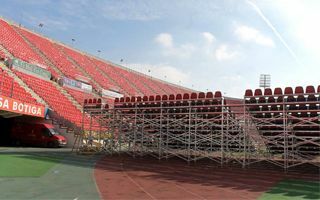 Yesterday the first temporary grandstand debuted at Iberostar Estadi and judging by comments fans are very pleased with it. 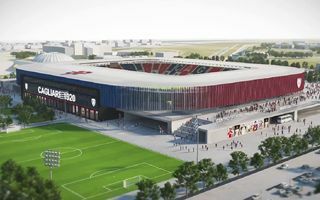 This might prove the future for Real Mallorca’s stadium. 07.12.2015 London: Tottenham plan “an act of pure vandalism”? 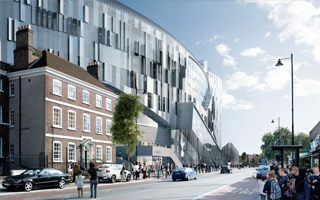 Group of local businesses in London claim the new White Hart Lane scheme would violate the district’s architectural landscape. They describe it as “out of scale and out of character”. 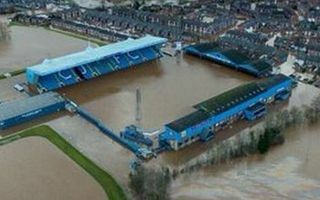 For the second time in a month Brunton Park is under water. This time so are the surrounding neighbourhoods. All Carlisle United players volunteered to help those affected. 06.12.2015 USA: Who’s got the best field across the US? There’s no other country with that many professional sports stadiums. But among American sports venues, which ones are best prepared for games? Here are 2015 Field of the Year winners! 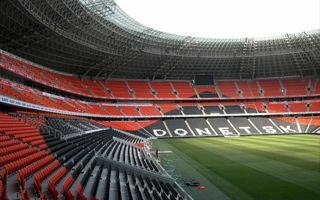 06.12.2015 Donetsk: Shakhtar to return home in 2016? This could be great news for the people of Donbass and possibly coach Mircea Lucescu as well. Shakhtar is reported to consider returning to Donbass within months after two-year exile. 05.12.2015 New design: Already a boom in Romania? 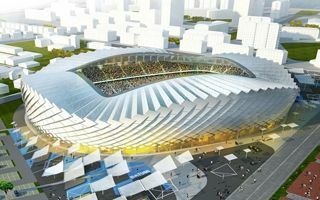 This design itself might be modest, but it shows just how much is changing across Romania in terms of sports infrastructure. 04.12.2015 Vote now: Select the next stadium batch! We have some more stadiums to add for you. But which do you want to see first? Select between China, Netherlands and Morocco. You have 24 hours! 04.12.2015 Edinburgh: Tynecastle expansion to start next year? 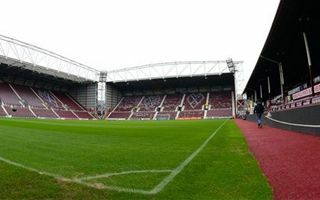 Current owner of Hearts announced the club would not seek a new ground. Instead an expansion of Tynecastle is planned and it might begin within a year from now. 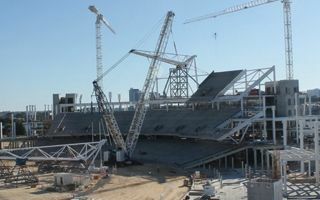 First of as many as 50 roof trusses already tops the future Perth Stadium. This milestone completes year one of the project, two more to go. 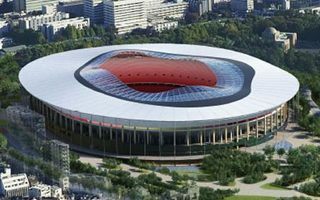 Poland’s national stadium will end 2015 with a profit. Small, but crucially important one. 5 million people visited the arena over the last 3 years, making it a top leisure destination. 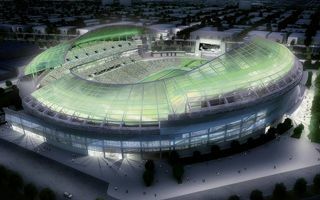 03.12.2015 New stadiums: You chose Sweden, here it is! In our first poll we asked you which country you’d like to see more of. 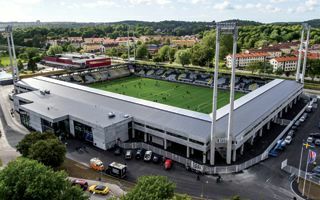 Sweden was your pick and so here they are – five new stadia from Scandinavia, two of them really brand new. 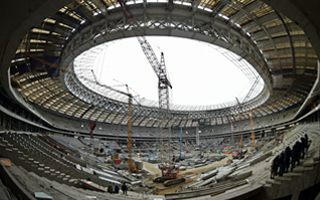 It will be one of Russia’s most amazing stadiums, but “will” is the key word. 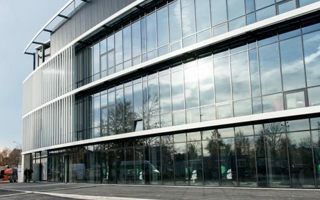 Planned opening in November proved impossible and a new inauguration date had to be selected. 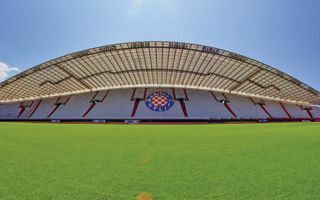 Known commonly as the “Poljud Beauty”, Stadion Poljud is now listed as part of Croatia’s cultural property. On one hand this offers legal protection, on the other – gives hope for renovation. 02.12.2015 London: So much to see from Chelsea! They’ve been feeding us with only breadcrumbs for months. 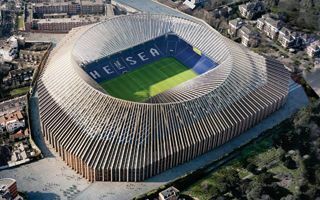 Now all of Chelsea’s new stadium documentation is available as the club submitted its planning application. Opening in 2020? 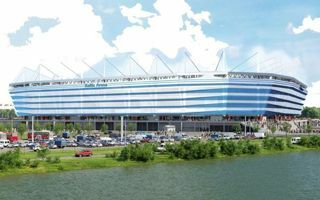 As shocking as it may sound, Kaliningrad is as late as a host city can be in beginning stadium construction ahead of the 2018 World Cup.